"Leadership" can mean a lot of different things to different people. Essential skills, however, include far more than technical expertise and require a person to explain, encourage, question, and direct others - in their own voice. Mountaineer course and trip leaders take groups of people into the backcountry and have to know more than how to set anchors, belay, or read a map. Interpersonal skills are generally our most important asset. These courses help prepare people for such dynamics, which can help prevent or avoid most hazardous situations. 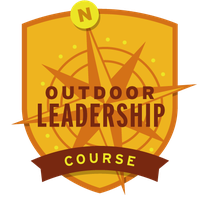 Taking an Outdoor Leadership course is also sometimes a requirement for becoming an activity leader (climb and scramble leaders most commonly). If you are interested in helping this committee and offering more leadership training, please contact the Chair! Different branches offer different courses throughout the year. See if there's anything posted right now that interests you.